I love the unique pattern of this vest. I had never seen a vest like that before I saw it at J.Crew Factory. It works so nicely with this top. I love that it has the bling built into the neckline. A friend of mine swears by these Hunter Boot socks. I will be buying a pair or putting them on my list. You have to check this page out for some great Christmas gift ideas! I LOVE this scarf. Don’t forget to enter my giveaway. You can enter at the bottom of this post or my post from yesterday. Oh yes! That vest is a must have! Marvelous fall look, girl! That vest is so cute! I love how you paired it with rain boots! 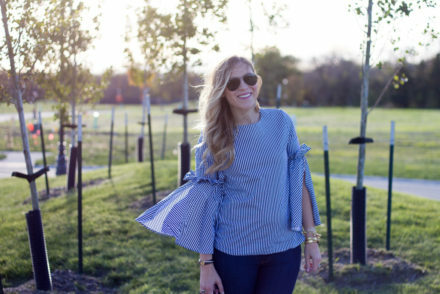 Love this fall look! J. Crew Factory is the best! Love this!! 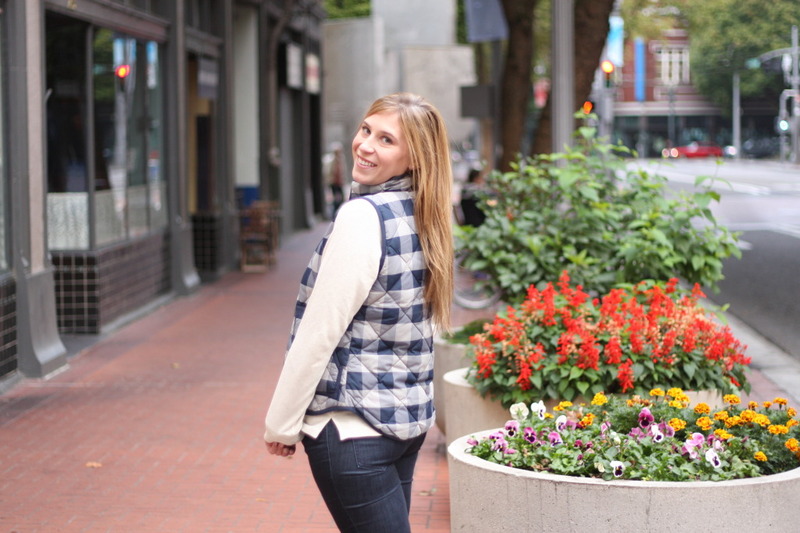 I have the herringbone version of this vest… I want it in every style haha! Cute vest! Love this fall look~! J.Crew Factory all the way! Love this store and everything in it. I really adore this vest and the shirt too! Those grey Hunter boots are perfect for rainy days! I just love this vest on you! So great for casual days. You look beautiful. 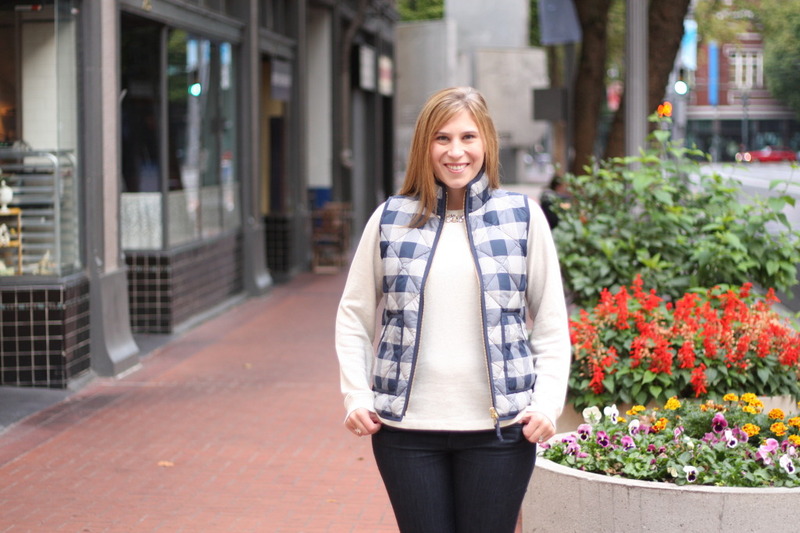 I always love how a patterned vest can elevate a simple look to a style look! You are the cutest girl! Loving this simple Fall look!!! That vest is so cute! I really like it how you have styled this perfect fall outfit! That vest is too cute! I love buffalo check! The plaid vest is so nice! 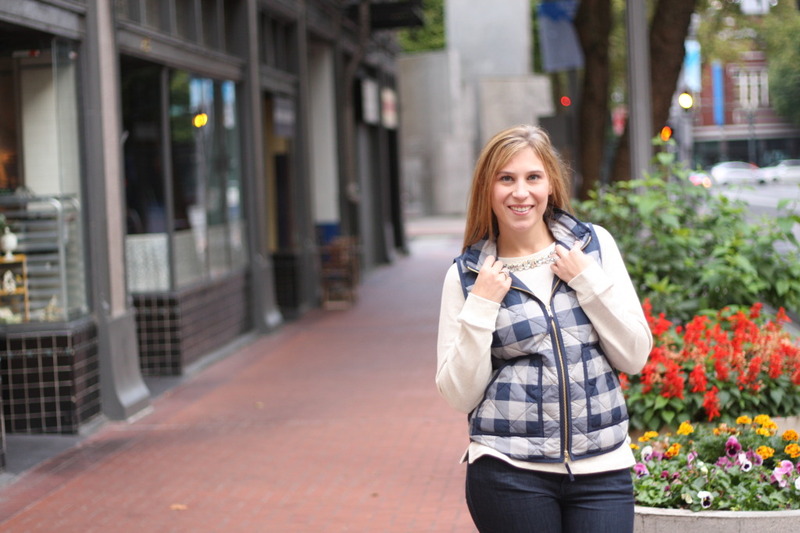 The buffalo check vest is such a cozy fall piece! Love the way you wore it here. 🙂 Have a great weekend ahead! Love the vest! It’s my favorite piece for the fall! Love the checked vest! It’s perfect with your Hunters! I love my Hunter socks!! Love that vest Lindsay! I don’t think I’ve seen one with a buffalo print either. 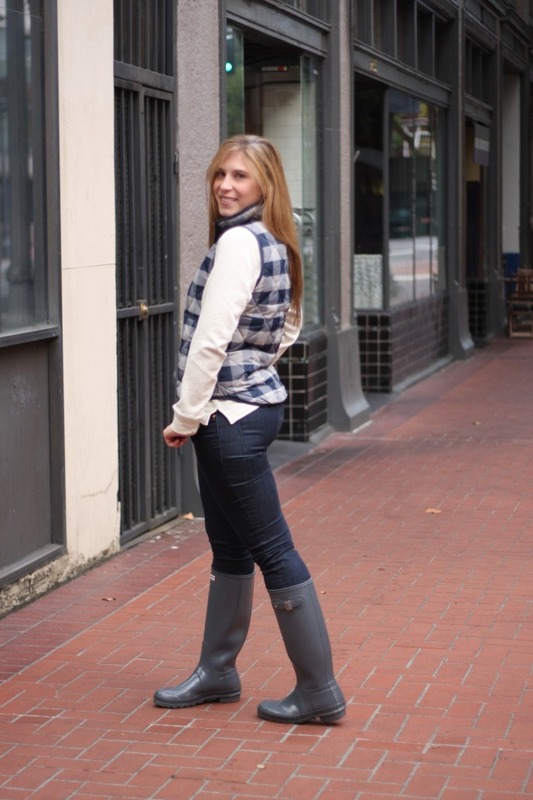 And I love how you are constantly styling your Hunters…I wish I could work mine in more often! I love your vest and hunters! My husband’s family is still there! Love the vest! 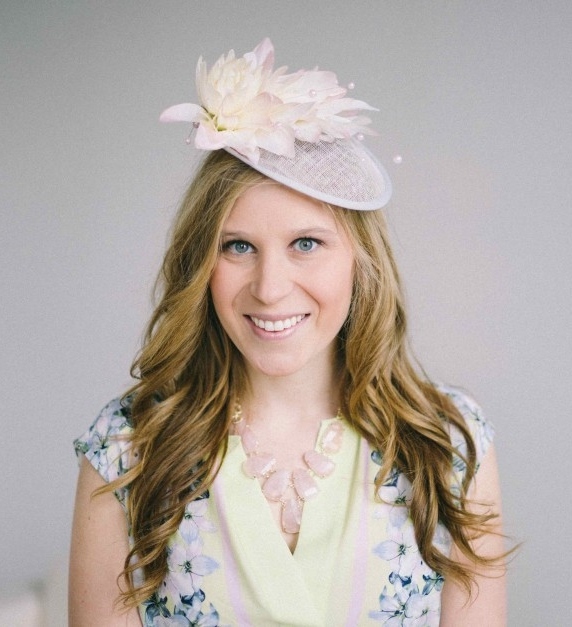 Great necklace and giveaway. Thanks! very cute and cozy, i adore the vest. 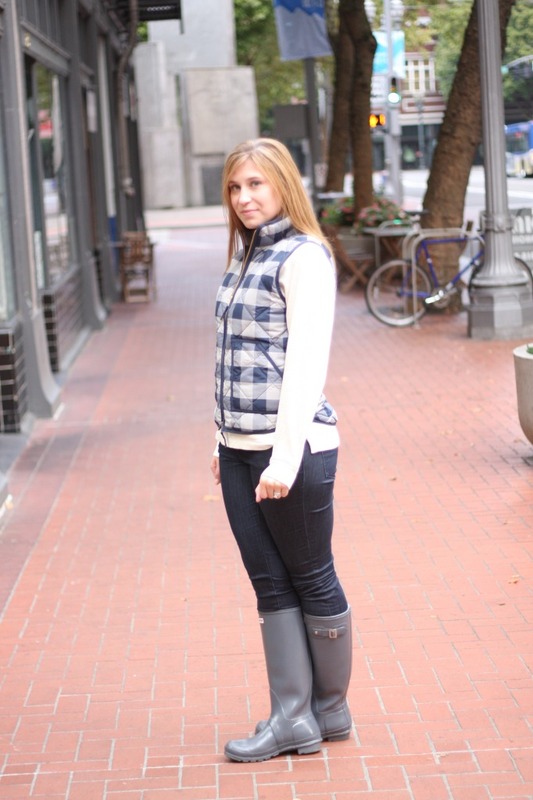 Love that vest…and gray Hunter boots are SO versatile. Chic! 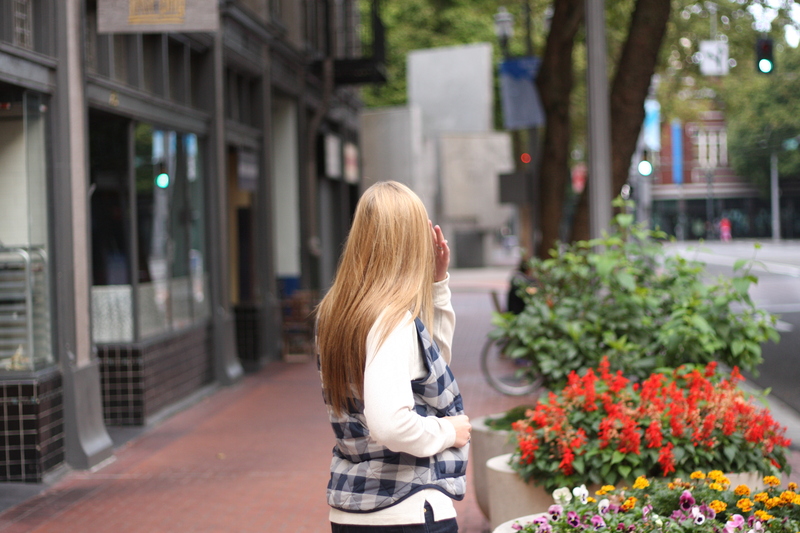 Super cute vest and great outfit for fall. I’m looking for either a plaid or fur vest for fall. What a great print to have on a vest – I’m sure you will get so much wear from it through the winter and even into the spring. Love the boots and vest Lindsay! They compliment each other so well! Thanks for the kind words on my blog:)!